Welcome to Sandwell College, a landmark for the development of education and training in the Black Country and Birmingham! Our iconic, £77 million Central Campus towers over the centre of West Bromwich and attracts students from across the region, with young people on our more specialist programmes coming from far afield. Just the other side of town, Central Sixth, our new and heavily subscribed A Level Centre, is making an equally impressive impact. Housed in an extraordinary, post-modernist building next to a major retail development, Central Sixth is already forging a reputation for sending young people to strong university courses. The majority of our full-time students are aged 16-18, studying courses designed to give them skills for the modern workplace (such as Automotive Engineering, Beauty Therapy and Web Design). Many of our vocational courses for school leavers have 100% pass rates, while a very high proportion of our A Level students get straight into university. We also welcome thousands of adult learners on to an extremely wide variety of full time, part time and short courses. These range from Entry Level tasters to Foundation Degrees, Level 5 vocational programmes and Continuing Professional Development courses. A major feature of our provision is an expanding apprenticeship programme and a broad range of training courses designed to meet the needs of regional and local employers. A specialist business team offers work-based learning, bespoke training and short courses to suit the demands of individual businesses. 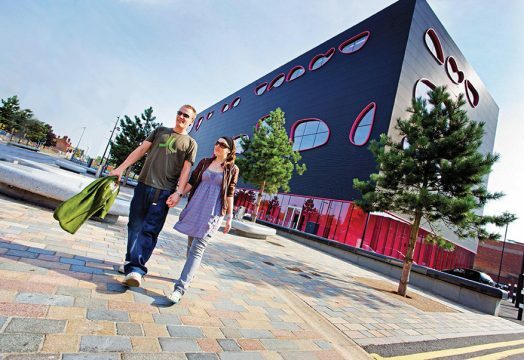 Our state-of-the-art Central Campus includes a specialist automotive centre, beauty and hairdressing salons, computer suites, construction workshops, engineering and science laboratories, fashion and photography studios, a sports hall and a 170-seater theatre – among many other facilities. Trainee dental nurses practise in a simulated surgery, while Travel and Tourism students train in a real aircraft fuselage. If you’d like to see what one of the largest Further Education colleges in the West Midlands could offer you, don’t hesitate to get in touch with us!